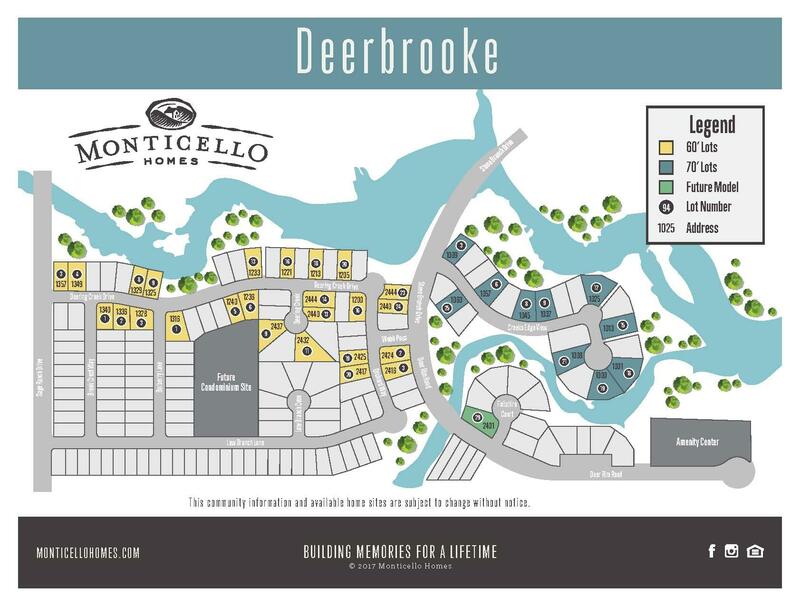 Deerbrooke is Leander’s newest 300-acre master-planned community featuring shady trees, pocket parks and a large winding creek throughout the heart of the development. You will find hiking and biking trails throughout, connecting you and your family to the large indoor/outdoor amenity center, fenced dog park and pool featuring a splash pad. The community is zoned to the highly acclaimed Leander ISD and is located just across the street from the newest and largest high school, Tom Glenn High School. Nestled amongst the limestone bluffs of the Texas Hill Country, Deerbrooke is conveniently located next to Highway 183, providing easy access to downtown Austin or one of the many amenities in the area. 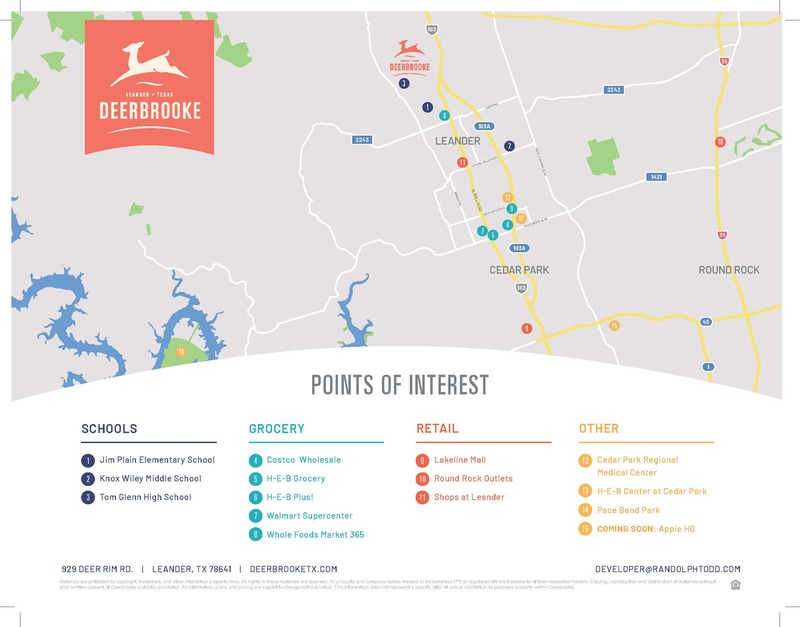 At Deerbrooke, you will have access to many dining and shopping options nearby, including HEB Plus and Lakeline Mall. There will be no shortage of outdoor activities with Benbrook Ranch Park and Crystal Falls Golf Club nearby. If it is the water you seek, stunning Lake Travis is located just seventeen miles south of Leander. 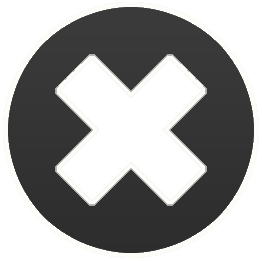 If you prefer not to drive, hop on the Metrorail, offering daily service from the northwest corridor to the heart of Austin, and many stops in between. We have a lot to offer you in one of our newest Austin-area communities, Deerbrooke: elegantly designed homes, peaceful hill country living and the convenience of the city. Call us today to find out more! Questions about living in Deerbrooke?